TikTok provides different measures to change TikTok password when you forget it. You can not log into TikTok in any other way if you do forget your password. You have to change the password after which you can use the new password and then log in. The procedure to change TikTok password when forgotten is a simple procedure. But you have to have functioning email account available at hand. 1. Launch TikTok application : The first thing you need to do is to launch the TikTok application. 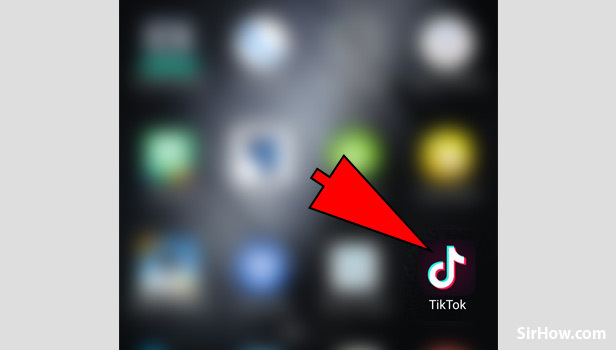 Locate the TikTok icon shown below, from your phone's app drawer. Tap on the icon once when you find it. It will open the application. 2. Tap on the Profile section : Launching the TikTok application will give you the following screen. 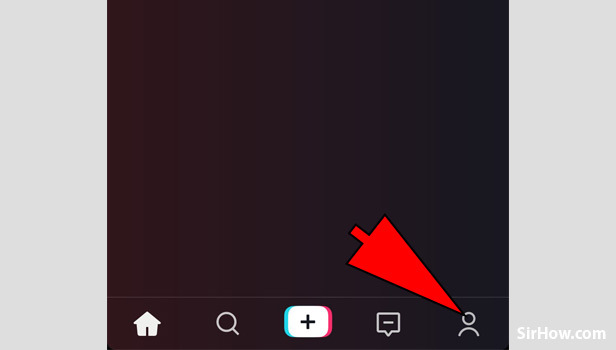 You have to then tap on the Person icon as shown below which will take you to the profile section of TikTok. When you get to the profile section, you will notice many profile related options. You have to then log out. 3. 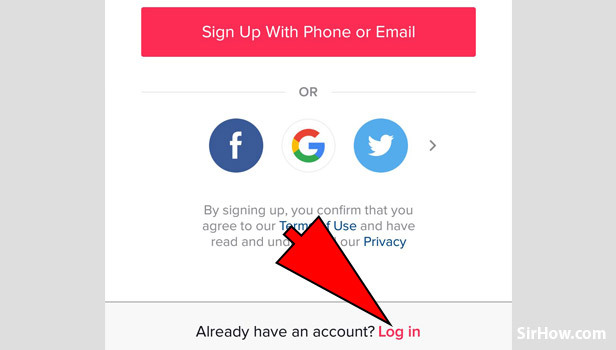 Select the "Log in" option : In order to log into your account, you have to tap on the "Log in" option as shown in the picture below. If you have an account, then there is no need to sign up. Therefore you can directly tap on Log in option. 4. 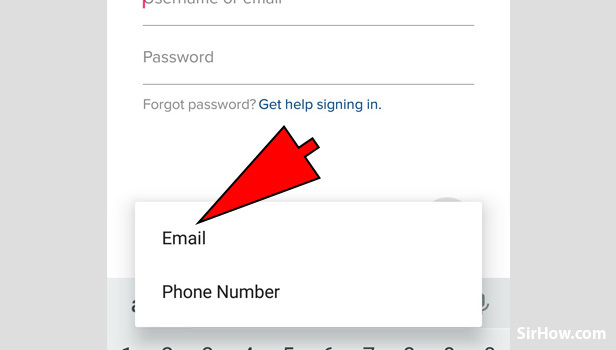 Tap on "Get help signing in" : Selecting the Log in option will show you the following screen. 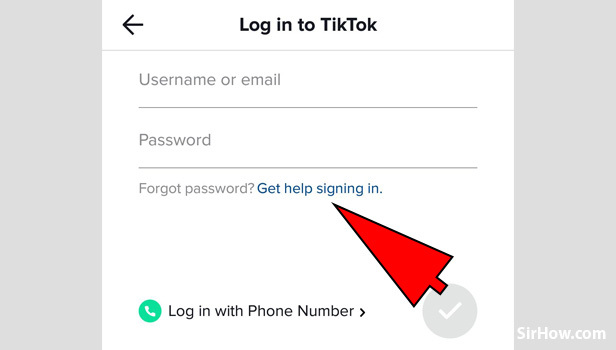 If you have forgotten your TikTok password then you need to tap on "Get help signing in" option. This will enable you to change your TikTok password. 5. Choose Email option : Tapping on the option in the previous step will give you two different choices. The choices represent how you want to change your password. From the two options you have to choose email. Tap on it once to choose email. After this, you have to open your registered email account. 6. 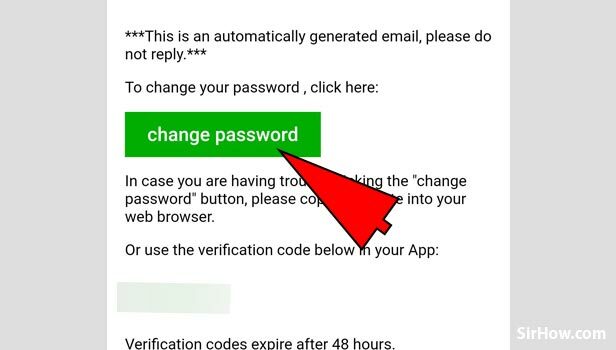 Select "change password" option : Choosing the email option will send you a confirmation mail to the registered email account. Therefore, you have to open your email account and locate the mail that was sent from TikTok. On opening the mail, you will find the message as shown below with the option to change password. Tap on it once. 7. 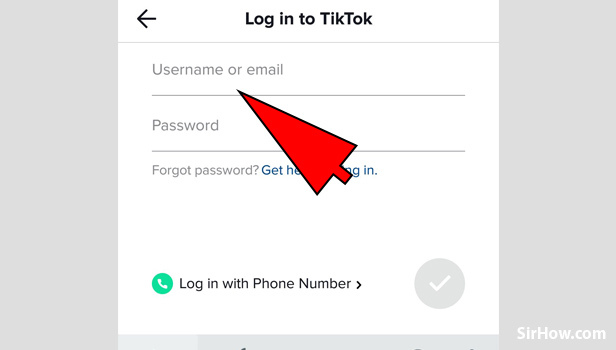 Set your new password: Tapping on the green "change password" option will redirect you to TikTok application. You will be given the following screen with the option to set password. Tap on the rectangular space provided to set your new password. Use the keypad to type in your desired new password according to the requirements of TikTok. 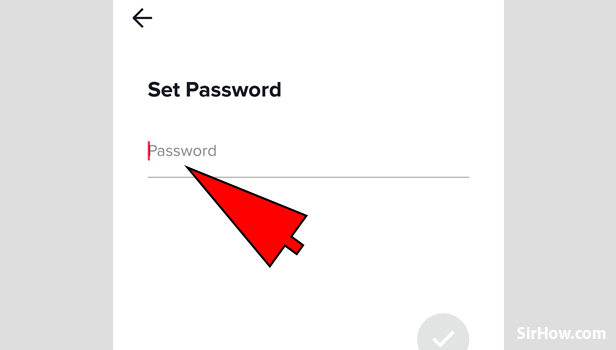 Tap on "Set password" after you finish typing. 8. Log into TikTok: After changing your password, You will be redirected to the Log in screen as shown below. Here you can enter your account details and log in. Tap on the username rectangle and type it in. Tap on the password section and type in the new password that you set. After this, Tap on the Tick mark option to log into your account. Thus, by following the steps explained in the article, you can change your TikTok password if you forget it. This is an easy procedure which requires an active Email account. The email account you use must be the same account you used to create the TikTok account. With this at your disposal.